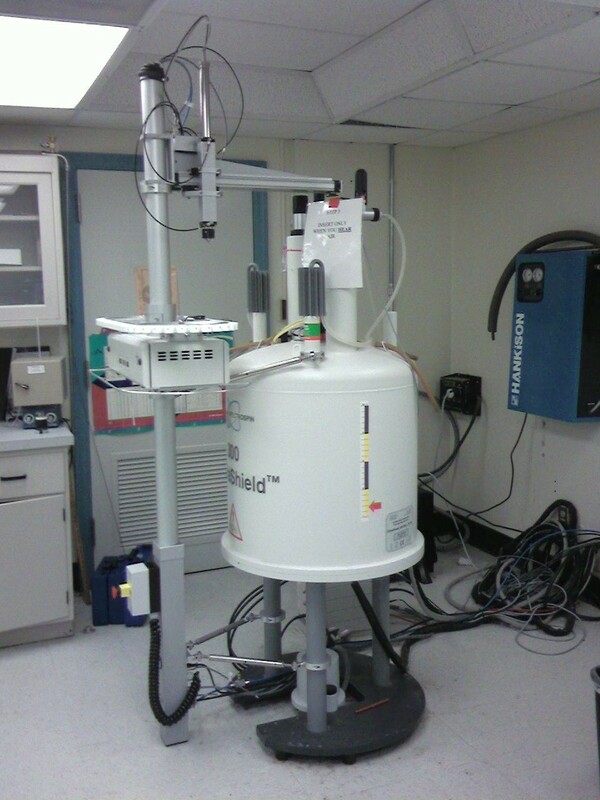 The Department of Chemistry houses a Bruker Avance 300 and 500MHz NMR. Undergraduate and graduate students routinely perform many 1-D and 2-D experiments on 1H, 13C, 19F and 31P. The Bruker 300 is used for routine analysis and has walk-up access between 8:00 am and 8:00 pm. 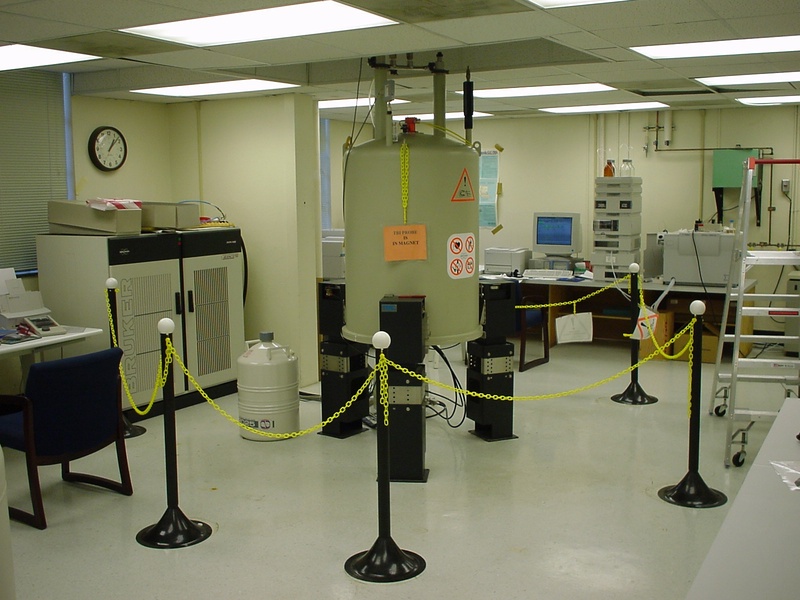 Experiments requiring more than 15 minutes are scheduled after 8:00 pm or run on the adjacent Bruker 500 MHz NMR. The Bruker 500 is used for collecting data on biological samples and molecules requiring better peak resolution. Being equipped with an inverse 3-channel Z-gradient and broad band observe probes, the Bruker 500 is capable of very fast data collection and contributes significantly to the research interest in the department and across the campus. Any student wishing to use the Bruker 500 is thoroughly trained and once demonstrates proficiency is free to reserve the system. If you have any questions direct them to the NMR Lab Manager, Dr. Marcus Wright.